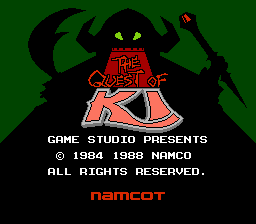 The Quest of Ki is a platforming game for the Nintendo Entertainment System. 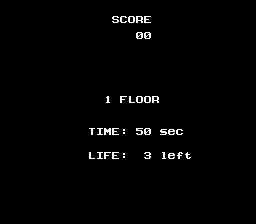 The game is more of a puzzle game since the player needs to find out how to get out of a room faster before time runs out. 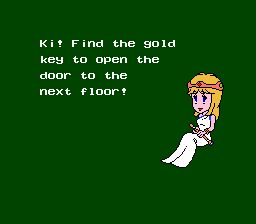 The game serves as a prequel to Tower of Druaga where it features the player as Ki, the damsel in distress from The Tower of Druaga. 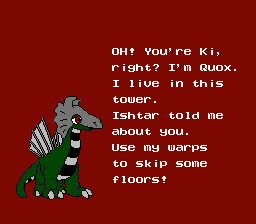 This is an English translation of “The Quest of Ki” for the NES. 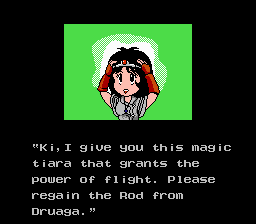 There is also a sprite improvement patch that made some items look like from Tower of Druaga and more.